I’ve been cussing Bajaj Auto for the endless installments of the Pulsar series and I even compared the Pulsars variants to a shampoo brand like Clinic All Clear, which just like Bajaj does with it’s motorcycles, has packs ranging from INR 0.50 to INR 3. 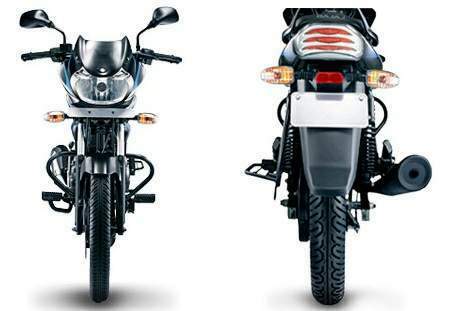 Now, Bajaj Auto does it again and this time with the Discover, which now gets a 150cc, 144.8cc to be precise. This is the fifth Discover in the Bajaj family, after the Discover 125, the Discover 112, the Discover 135 and the Discover 100. 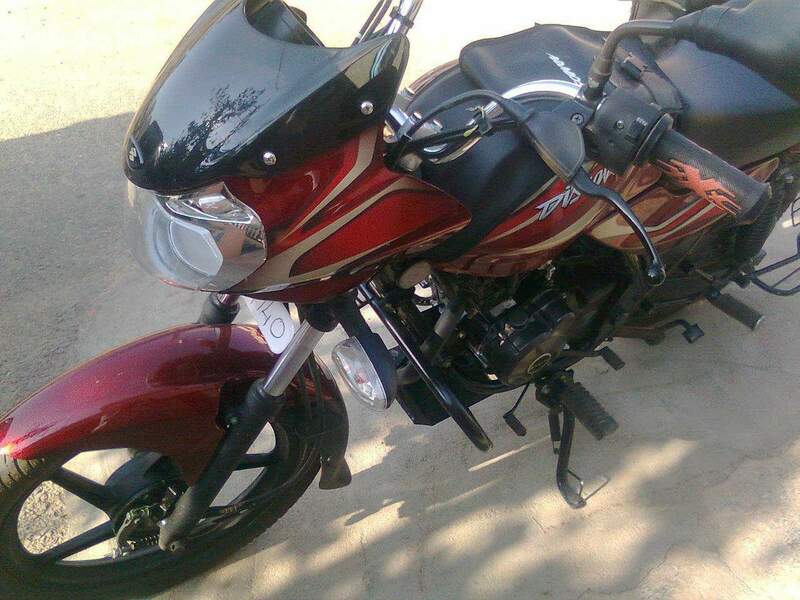 Out of the four previous/current iterations, 2 bombed and with 2 more, Bajaj Auto laughed all the way to the bank. 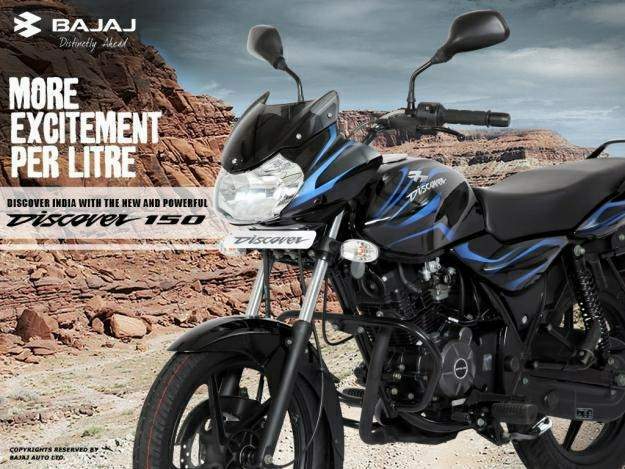 This time around, I think Bajaj will laugh all the way to the bank with the Discover 150, just as they did with the Discover 125 and are doing with the Discover 100. Indian brands are constantly innovating and refreshing their products, at least twice as many times as the competition. The naysayers might call it this constant refreshes a reason of the lack of high product quality in the first place, but then how do these brands manage to sell so much if they really didn’t deliver acceptable quality level? So, that cannot really be a valid reason. Bajaj does it with the Pulsars and Discovers, Tata Motors does it with their innumerable Indica and Indigo variants, Mahindra also does it with refresh after refresh of it’s flagship SUV, the Scorpio. And all these brands have managed to tug at the purse strings of the moneyed as well as a segment of poorer Indians like the cab drivers and the poorer have ended up become richer because of Tata/Bajaj/Mahindra products that redefined their levels of mobility. Why are Tata, Mahindra and Bajaj succeeding each time while the competition who keep harping about how much better their quality is, always play catch up? The one and only answer to this question is value for money at a quality level that is acceptable to the majority of the Indians. Indians, alright at least the majority of them, will simply not buy something that doesn’t offer them the most bang for the buck and these quintessentially Indian brands have latched on to this idea before anyone else could. Now the competition is finally waking up and smelling the Indian coffee. Ford India woke up and launched the terrific VFM Figo, Volkswagen played it safe and priced the Polo at levels that could give many upper B Segmenters the sleepless nights. Some manufacturers like Honda ignored this phenomenon and refused to climb down their pedestal of premium for their brand and the result: Fiascos like the Honda Jazz and the Honda Accord. Coming back to Bajaj, with the Discover 150, Bajaj Auto has simply changed the game in the 150cc segment. Why will the man, alright woman on the street buy a 125cc Yamaha Gladiator or a Honda Shine or even the Hero Honda Glamour when he can buy a Bajaj Discover 150 for much lesser than all the aforementioned bikes. What’s more, he/she will get more power, a comparable fuel efficiency figure, spare parts that are dirt cheap when compared to the competition, a five speed gear box, disc brake and many such bells and tinkles. No sir, the engine might not be as refined as say the Hondas and Yamahas of the world and might not even last as long, but it will be of acceptable quality and will do the job just as well, or almost as well as the Japs. This again leads to the perpetual game changing equation to crack the Indian market: Bang for the Buck. Bajaj simply means bang for the buck and as the Discover 150 imbibes this quality in ample measure, we’re going to see another success and another price war with the competition now facing the heat of the Bang for the Buck quotient. This, ladies and gentlemen, is the hornet’s nest being stirred.